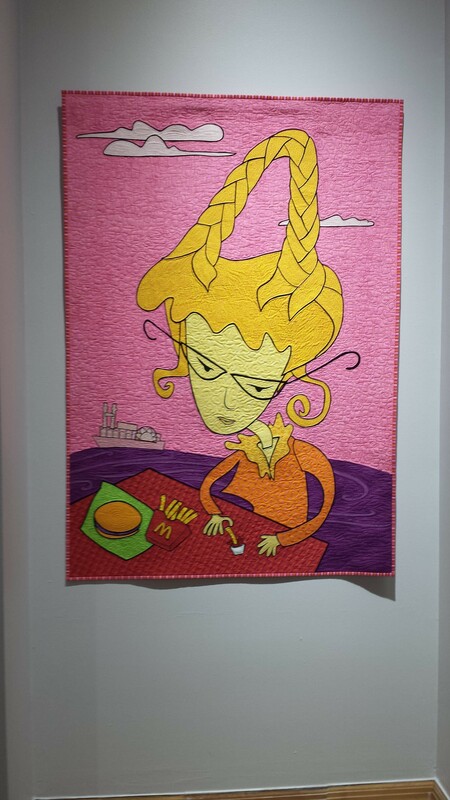 For everyone who loves modern quilting – and let’s be honest, who doesn’t – the Quick Center has a gallery that you better be sure to check out. 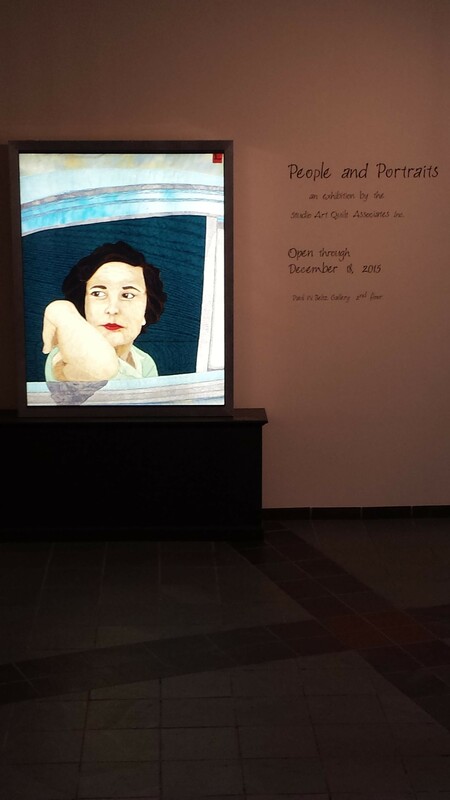 Through December 18th, the Paul W. Beltz Gallery on the second floor of the Regina A. Quick Center for the Arts will house 40 art quilts courtesy of the Studio Art Quilt Association. 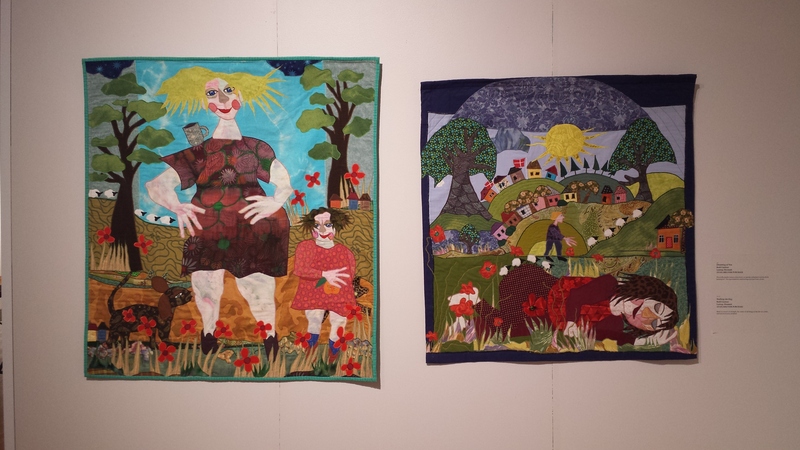 The exhibition, titled “People and Portraits”, samples the work of 20 quilt artists from around the world. When placed together, the quilts truly are magical, filling the room with a layer of aura imbued in every stitch. These aren’t the quilts that your grandmother knits for you at Christmastime; these are the manifestations of passionate artists who have forgone the painter’s canvas in favor of their own canvas, one that they must build from the start up and one that has the emotion of such a journey intrinsically affiliated with the finished product. As Pam RuBert describes her quilt Wish You Were Hair, “The St. Louis Arch holds nostalgic memories for me.” RuBert is able to do what many artists featured in this exhibition are capable of – taking their own feelings, stitching them together, and creating something that stitches itself into you when looking at it. There’s something about the image of a woman eating on a floating riverboat McDonald’s with hair stylized like the Arch that is poetically profound. The quilts assembled stand out from other art galleries you’ve been to because while every piece of art is connected to its individual artist, you can practically feel the artist through their quilts because it is handmade. They did not take paints and create on a canvas, they took tools and created their own forum that was, in itself, art; when describing Light Sleeper Margot Lovinger claims, “The light touched upon [the eyebrows] so delicately they just seemed to glow in the darkness. For me, small details like that are what make a piece feel real,” you understand exactly what she is talking about, and you have understood this from the moment your eyes met the fabric. 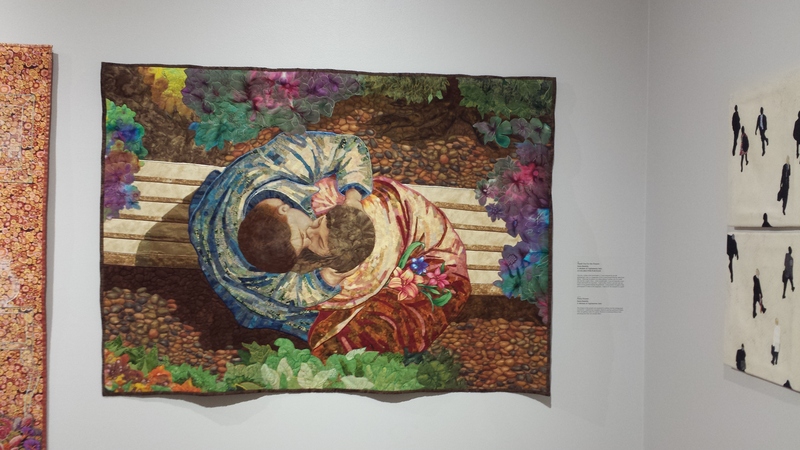 Even when Carol Goddu describes Soiree simply as “An outdoor evening of entertainment, circa 1900,” you understand intrinsically what you see, and you are taken not just to the moment of the quilt but to the moment the artist saw the quilt. The beauty in this exhibition isn’t the magnificent artwork surrounding the walls – it is the beauty of the artist, the beauty of the inside of their minds, the beauty of beauty, the sheer profoundness of looking at a quilt and seeing someone’s heart, that makes this gallery exceptional. I never thought that one day I would be raving about quilts, but after you check “People and Portraits” out for yourself at some point before December 18th, you will be doing exactly as I am.